Ricoh’s sponsorship strategy is focused on creating platforms that enable us to engage and educate our target audience on what we do as a business and what Ricoh brand values are. All Ricoh properties are carefully selected on the basis of what our existing and potential customers feel passionate about. For many, this passion is sport. Rugby is the focus of our sponsorship strategy in the UK. Find out more about our work in rugby. We work with a number of football clubs and stadiums to enhance fans’ matchday experience. Visit this section to find out more. 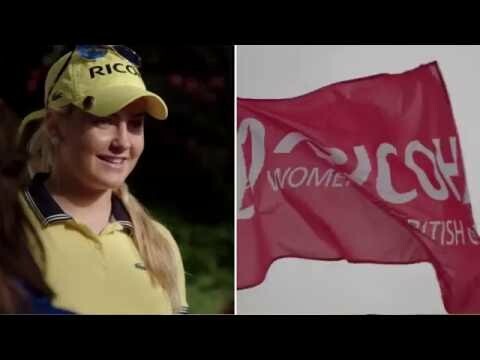 Ricoh has been the title sponsor of the Ricoh Women’s British Open since 2007. Read on to discover more about the tournament. At Ricoh, we are committed to supporting talent – in business as well as sport – and we are delighted to be working with some of the most exciting young athletes and backing them on their journey. We also recognise that experience and insight add great value to our customer events and hospitality, and therefore we are excited to have partnered with Ben Kay, the 2003 Rugby World Cup winner and a lead analyst and commentator.